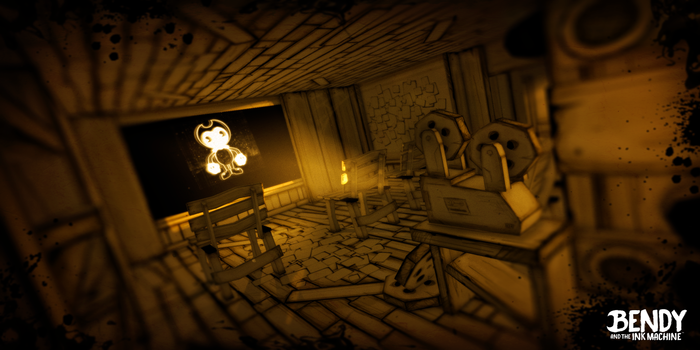 Bendy and the Ink Machine[/i] is a first person action horror game with puzzles to solve in order to escape the old animation studio where you are trapped. The game is released in episodes, the first being available for free. Currently there are only two episodes with a third one on the way and five expected in total. I went into this title completely blind, I had never heard of it before and wasn’t even sure what genre it was. From the title and cartoony title screen, I thought I was getting into a harmless adventure game that would have me solving puzzles. Needless to say I soon found myself scared and afraid to even continue playing. I am not good with these types of games, especially when jump scares are used. I don’t dislike them, frankly I enjoy the thrill at times but it certainly took me off-guard. However, the game was enjoyable; it’s very atmospheric and has a unsettlingly story that is just as scary as the jump scares. You take the role of Henry, who has been invited to the old animation studio where he once worked; However, things aren’t as he left them. Most of the story is told through tape recorders found throughout the map where employees recall their tales of working at the company. Henry doesn’t say much and has little personality at all -his goal is to escape and that’s about it. To say the story is weird would be an understatement, from what I gathered someone decided to perform some dark rituals to bring cartoon characters to life and it backfired. Now the studio’s mascot, Bendy, wants to kill everything. While the game promises to “decimate your childhood” I didn’t experience that at all. Sure, it was creepy but there is so little story development I was more left with an “I don’t care” sort of feeling. I want to escape because it’s a game, not because I’m invested in Henry. 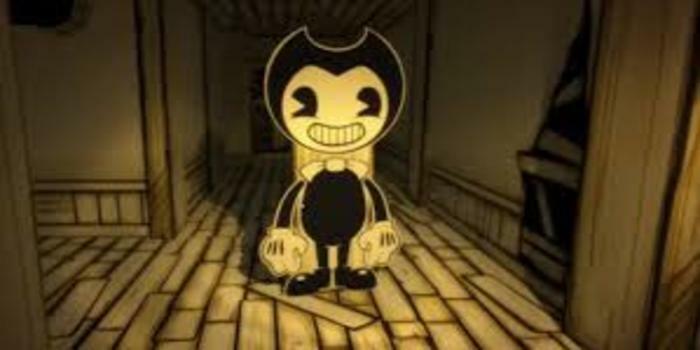 Bendy may echo classic cartoon characters, but isn’t actually one of those characters. 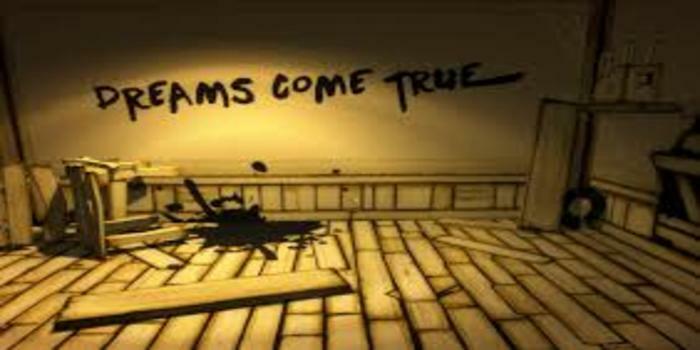 The game does follow the example of [i]Five Nights at Freddy’s[/i], blending innocuous (if sometimes unsettling) childhood memories with horror. I hope later chapters expand upon the story and flesh it out more. The game can be played with a keyboard and mouse combination or a gaming controller, I opted for the later. It’s first person so you’re able to look all around your surroundings, open doors and interact with objects. There are a few puzzles to solve but not many in the first two episodes. The only difference between the two is you gain an axe in the second episode and will have to fight against monsters. I wasn’t too fond of this, it took away from the spooky atmosphere and mystery of what was lurking around you. Actually seeing it and being able to kill it changed the nature of the game. At its best, you’re wandering around trying to escape as things unnerve you. It’s the art style used in this game that really caught my attention. The game uses a very simple color pallet relying on great shadow work to add depth to your surroundings. When I first stepped into this world I had the exact same reaction the main character did “What the heck happened here?” Everything’s a mess, the walls have creepy writing scrawled on them and the studio’s mascot, Bendy, shows up everywhere. Following you but not physically following you, or is he? The game also has full voice acting and a good soundtrack as well, everything really delivers the feeling that you’re in an old timey animation studio. 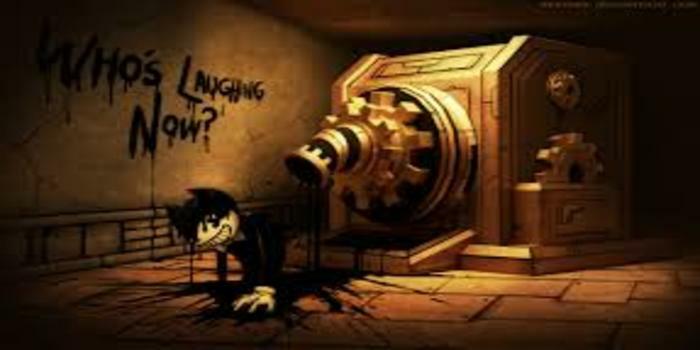 While I enjoyed playing [i]Bendy and the Ink Machine[/i], I don’t enjoy how it’s being released. I don’t like when video games are released in episodes -to be blunt, I despise this practice. Not only that, from what I’ve played of the first two you can beat them in about an hour without a guide and much less time with one. The puzzles are also not very challenging. While the first episode is free, the second one costs six American dollars which is a bit pricey for such a short amount of game play. While yes, so far it’s fun and it does have Steam trading cards and achievements I personally recommend waiting until all of the episodes are released. Hopefully they will be compiled together so players can pay one price for access to the whole story. The demo is free, however, so I would recommend giving it a try and see how you enjoy the style of this game. The Smart Marks 187 – Money in the Bank Preview!